A couple weeks ago I reviewed a Geometry Wars lookalike called “Pew Pew,” which was fun, but I had a few complaints about. I’m generally not a fan of games like it, which try to emulate game controls on-screen. Coupled with the fact that the play area was a bit on the small side, these joysticks blocked my field of play to the point where it was frustrating. However, yesterday I came across another Geometry Wars clone which solved most of the problems I had with PewPew. Instead of relying on on-screen controls, Tilt Arena does everything via your phone’s accelerometer. By tweaking sensitivity settings found in the menu, users can fine-tune their steering and speed and blow up shapes to their heart’s content. The graphics are beautiful and emulate the Geometry Wars experience a lot more closely, right down to the screen flashes when enemies die. This is a recent change, and one that can be thankfully turned off. The game also manages to zoom out a little bit, giving the player a greater view of the battlefield they’re playing on. What really got me was how well it ran on my aging Milestone; not many games that involve a lot of action and particle effects do. 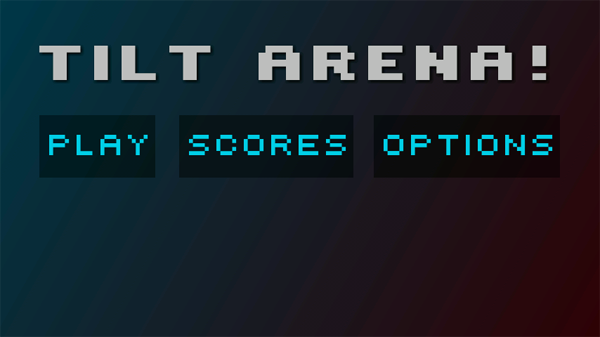 Tilt Arena was smooth, responsive and the opposite of frustrating, which wins it major points. To give you guys an idea of how it plays, I whipped together a quick gameplay demo. The only thing I find lacking with this game is its lack of depth: PewPew may have been a bit more annoying in gameplay, but at least it had a lot of variety when it came to play modes and ship selection. There’s really no replayability here except for a high score table, which is a bit disappointing. However, apparently this is Priority Interrupt’s first effort at a game: hopefully more updates are coming. Matt Demers is Droid Life’s app guy, and is sick as a dog. You can hear it in the video. You can wish him well via Twitter or e-mail.